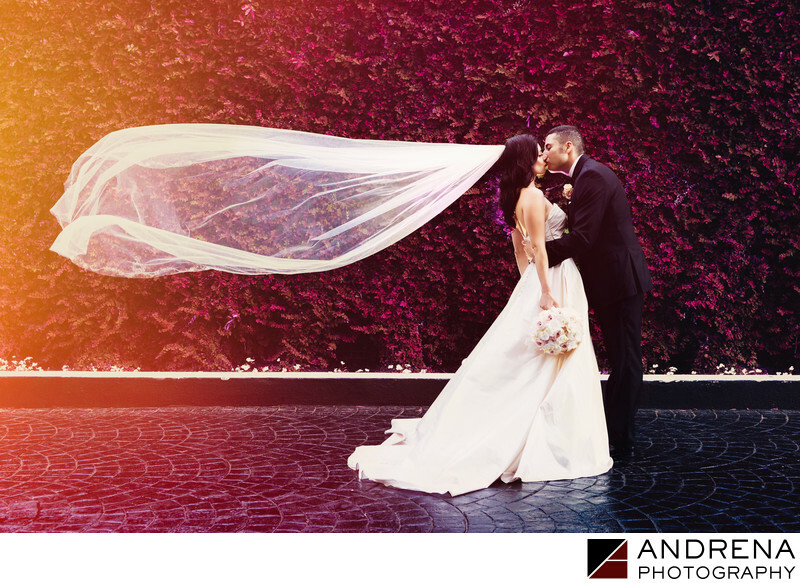 Photographing weddings at the SLS Hotel Beverly Hills is always a true pleasure. This unique boutique venue has the world's nicest staff and endless locations to create unique images. The background of this image featured green bushes but a bit of creative work in Photoshop helped me add pops of color and light leaks. The end result was a more interesting and colorful final image. To get the veil to fly out behind the bride, I used one of the bridesmaids to throw the veil up, then adopted a low vantage point to create the image that the bride envisioned.